Website design mortgage finance companies Fairfax VA | VISIONEFX provides web design in Fairfax, VA. 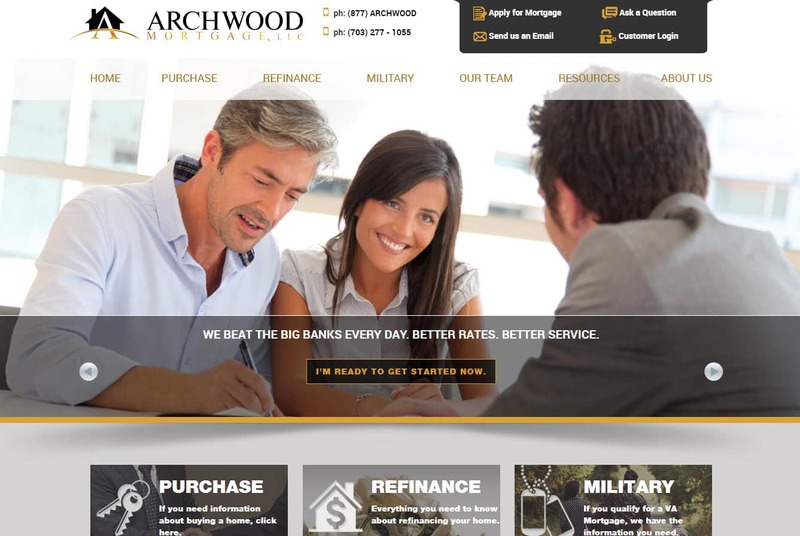 This is a custom website design for the mortgage company Archwood Mortgage based in Fairfax VA and is a Word Press website with featured areas for mortgage tools and resources. VISIONEFX builds websites for financial professionals to include; Insurance sales, Lending sites, Advisor services, Payday Loans online, and Mortgage services. When searching Web designers Fairfax VA look no further than VISIONEFX for all of your website needs. VISIONEFX, a Web design company based in Virginia provides services to national companies as well as small to medium businesses throughout the United States to include; custom web design, web development, E-commerce web design, Word Press web design, Joomla web development, SEO and web maintenance services. Call: (757) 619-6456 or email info@visionefx.net.